Dr Maricar Jones graduated from Griffith University with a postgraduate degree in Bachelor of Medicine, Bachelor of Surgery in 2010 and completed her internship and residency at the Royal Brisbane and Women’s Hospital. Prior to her medical studies, she completed Bachelor of Science (Hons) at the University of Queensland. 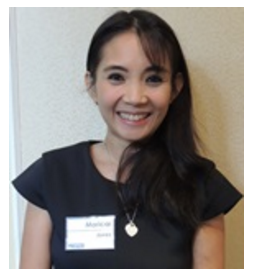 Maricar worked in Melbourne for a couple of years at Medibank, then Bupa, as a panel physician for the Department of Immigration. Prior to medicine, she spent some time in research at The Queensland Brain Institute ‘s Neural Stem Cell Lab. Maricar enjoys the broad scope of GP, as well as working with people to help achieve their best health outcomes. She has a keen interest in chronic diseases, women’s well-being, pediatrics and minor surgeries. Maricar looks forward to working with the dynamic team at Pandanus Medical Practice providing quality medical care to families in the community.